One year ago, Callie Harding was the star of the Redwood High gymnastics team. Now, she’s just trying to forget that her Olympic dreams were stolen from her in one failed landing. Most of all, she wants to forget her first love, Ty. That part of her life is over and she’s sure she has got something good with Scott… even if he doesn’t exactly understand her passion for sports. But when Callie is persuaded to take on the position of assistant coach of the gymnastics team, Ty and Callie are thrown together almost nightly, and she’s forced to confront her memories of the night everything changed. As things get tense on and off the balancing beam, Callie must find a way to stay strong. But is forgetting her accident – and forgetting Ty – the best way to do that? Now, here’s the excerpt. Enjoy! I entered the building just as the first bell rang. A few stragglers were in the halls, chatting with friends. I ran for the closest flight of stairs. I had five minutes to get to class, and calculus was on the other side of the building. If I didn’t have any trouble, I could be in my seat with a minute to spare. But my ankle had other plans. Unable to bend as well in the stiff brace, my foot slipped halfway up the stairs. I fell, my ankle hitting what felt like every step until I came to rest near the bottom of the stairs. I stifled a sob. I was so getting detention. Just then a hand entered my field of vision. It was toughened by a few callouses, at odds with the long, gentle fingers. I looked up into the eyes of my would-be helper. My stomach sunk. The hand was attached to a tall boy with close-cropped dark hair, broad shoulders, and the kind of muscles only achieved by constant work. He looked like any girl’s dream come true in this situation. But the tears just welled even faster in my eyes. “Are you okay?” Ty’s voice was soft and deep, like liquid caramel on the ears. And he seemed genuinely concerned. “Callie, you just fell, you might be hurt. Is it your…” His voice trailed away, and he looked down. “My ankle? Of course it is.” I became aware that I was still sitting on the dusty floor, and seconds were ticking away until the final bell. Ty’s hand reached further toward me, and his eyes beseeched me to let him help. But I couldn’t look to Ty for help anymore. Just seeing him made me remember. As if it could sense his presence too, my ankle gave a throb. I bit my lip against the pain. “Please, Callie.” There was desperation in his voice. His shoulders were tight, and there were lines around his mouth. “No. Please just go.” Of course, I couldn’t avoid him. We were going to the same class. But we didn’t have to walk together, make polite chitchat, and pretend there weren’t volumes of unsaid words between us. The hand dropped to his side. “Fine.” Ty bowed his head and continued up the stairs. I gave him a few seconds head start. A couple people around me snickered as I pulled myself to my feet and began hobbling up the stairs, clinging to the rail like an old lady. 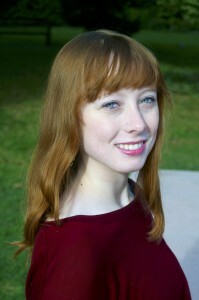 Heather Smith is a student of English and History at University of Washington in Seattle. 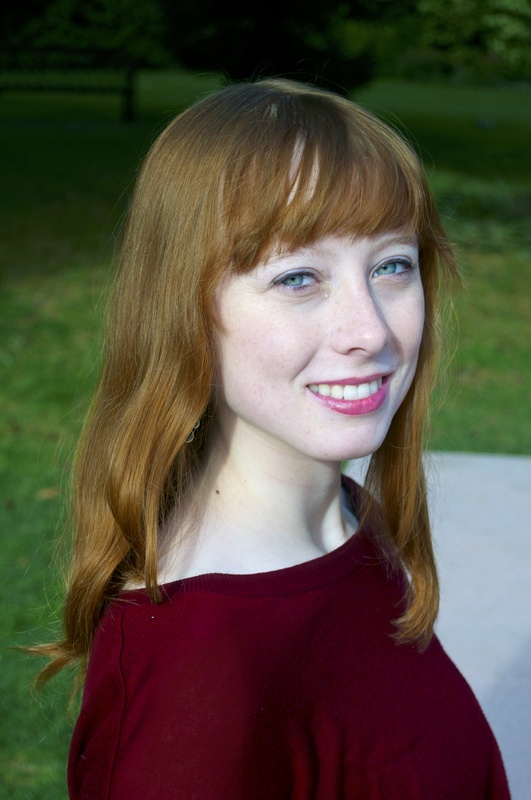 She works as a senior editor at Entranced Publishing, with the Kissed and Entranced imprints. In her free time, Heather loves to ride horses and watch Disney movies. She would like to travel the world one day, and Europe would be her first stop. 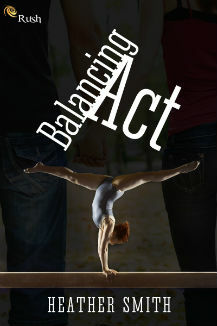 Heather’s first book “Balancing Act” will be published in 2014 by Entranced Publishing. You can find out more about Heather and what the future holds at the links below. And now for an awesome giveaway! To enter, follow the Rafflecopter prompts below. May the odds be ever in your favor! OOh! A gymnastics book! I’ll have to check this out.